The premier family law firm serving Wayne, Holmes, Ashland, and surrounding Counties. When you need the very best in legal representation in a family law matter, there is only one firm to call! Our firm has chosen to practice only in family law matters so that we can offer the absolute best in effective legal representation. 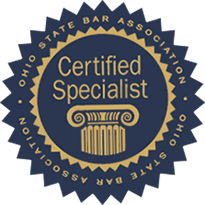 No other firm in this area has our experience, expertise and commitment to family law cases, and we have the only lawyer who is board certified as a family law specialist, the only lawyer who has been elected to fellowship in the American Academy of Matrimonial Lawyers and the only lawyer recognized for fifteen years as a super lawyer in Ohio family law. Let our combined 50+ years of experience work for you in your time of need. We take a team approach to ensure we can offer the highest quality legal representation available, with integrity and compassion, and we work hard to get you the best results possible. Call us at 330-262-2510, or e-mail us at [email protected] to find out how we can work together to protect your rights. Taking that first step into unknown territory when dealing with legal matters can be scary. Contact us for an appointment today and let us walk with you through the legal process and ease the stress of an overwhelming situation.